An old foe for the seniors and reserves as we made the trek down the Monash! Posted in Club News and tagged with Soccer, Football Victoria, football, Football, Reserves, Seniors, Brandon Park FC, State 4 East, State 3 South East. May 8, 2017 by Wayne Lewis. Changes for the Men's Coaching in the 2017 Season! A big thank you goes out to our Mens coaching staff for the incredible job they did this year! We are pleased to see them all returning to the club as we start our first season in State 3 South-East! Posted in Club News and tagged with Mens, Seniors, State 4 East, Promotion, Reserves, Pre-season, Playoffs, Recap, Soccer, Richmond, FFA, FFV, Football, football, FFA Cup, CCFC, Football Victoria, City of Yarra. October 27, 2016 by Wayne Lewis. State League 3 South-East, here we come! Posted in Club News and tagged with State 4 East, Playoffs, Seniors, Soccer, football, FFA, Football Victoria, Football, FFV, CCFC, Promotion. September 26, 2016 by Wayne Lewis. Our Seniors made a long haul to Skye in order to face off against the second place team from State 4 South, Springvale City! 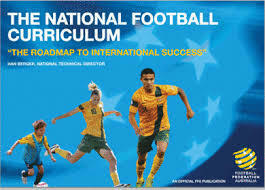 Posted in Club News and tagged with Soccer, State 4 East, Seniors, Playoffs, Football, FFA, football, FFV, Football Victoria, CCFC. September 19, 2016 by Wayne Lewis. Recap at Brandon Park and 3rds Playoffs! We faced off this weekend against the league leaders while the 3rds side were in what we hope is the first of many playoff games! Bonus video recap of the Seniors! Posted in Club News and tagged with Brandon Park FC, Seniors, Reserves, Recap, Thirds, Soccer, State 4 East, Football Victoria, FFV, Football, football, Playoffs. September 5, 2016 by Wayne Lewis. Not the results we had hoped for at home, but we still have a way to go before it is all done and dusted! Posted in Club News and tagged with Thirds, Soccer, State 4 East, St Kevin's Old Boys, Seniors, Reserves, Metro 8, Mens, FFV, football, Football, CCFC, Football Victoria. July 18, 2016 by Wayne Lewis. The Seniors looked to advance, the reserves looked to preserve a streak, 3rds looked to take home a win despite no referee and the loss of a player, while striker Dan Quinn looked down the aisle! Posted in Club News and tagged with Thirds, Seniors, Reserves, Old Camberwell Grammarians, Recap, Soccer, State 4 East, football, FFV. July 11, 2016 by Wayne Lewis. Match Recap from a wet Weekend! Recap from our visit to Kings Domain and Aspendale SC's trip up to face our 3rds! 1st place, an unbeaten streak, and bragging rights all on the line! 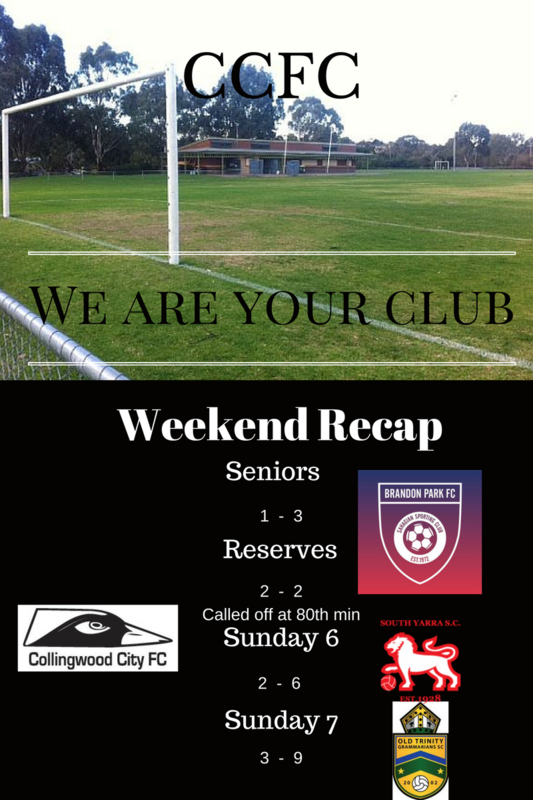 Posted in Club News and tagged with Kings Domain FC, Seniors, Soccer, State 4 East, Reserves, Recap, Thirds, Match, football, Football Victoria, FFV, Football, CCFC. June 20, 2016 by Wayne Lewis. Results all around in our Weekend Recap! Nothing but good from this weekend! The referee even complimented our Senior team and 3rds team for their sportsmanship! Posted in Club News and tagged with Thirds, Soccer, State 4 East, Seniors, Recap, Reserves, Football Victoria, FFV, football, Football, CCFC. June 14, 2016 by Wayne Lewis. A wet Saturday gave us plenty of goals as we showed why having players from rain soaked countries is such a benefit! Posted in Club News and tagged with Brandon Park FC, Soccer, State 4 East, Seniors, Recap, Reserves, Kevin Bartlett Reserve, Football Victoria, football, Football, FFV, CCFC. June 6, 2016 by Wayne Lewis.